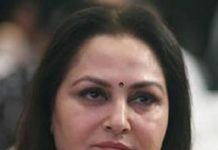 IN recent times small screen is as important and big as a silver screen means cinema, big stars are doing shows and making appearances on reality shows regularly. How can we forget the super star Amitabh Bachan as a host of the famous “KBC” for years, Salman Khan, Shahrukh Khan and Amir Khan all hosted their shows on TV. 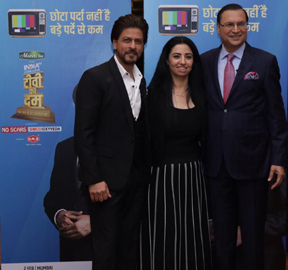 3rd February 2019: India TV, leading Hindi News channel which was co-founded by Rajat Sharma and Ms Ritu Dhawan hosted a mega conclave-TV Ka Dum, that celebrated the power and journey of the silver screen. The mega conclave got Television’s and Bollywood’s Superstars all under one roof. The conclave that aimed at highlighting the importance and power of small screen had none other than Shah Rukh Khan as a keynote speaker. Mr Khan who started his journey with television show Fauji and continues to host several shows on the small screen, shared his journey and also added a touch of entertainment to a night already loaded with fun. The event was hosted by Maniesh Paul and Ms Charul Malik and attended by more than 400 television and film stars. Panel discussions dedicated to different genres were held throughout the day. 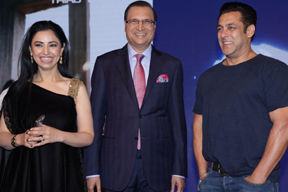 The conclave was followed by Red Carpet to a grand after-party hosted by India TV Chairman Rajat Sharma & India TV MD Ms. Ritu Dhawan.